The Better Work Network draws together those involved in initiatives addressing low pay and the quality of work in London and is supported by a grant we have made to the Learning and Work Institute (LWI). Low pay is a serious problem in London, with 1 in 5 employees in the capital earning below the London Living Wage. There are many charities and initiatives which focus on tackling this problem, and there is a need for a group which co-ordinates between these projects. Influence policy and practice, in order to improve employment prospects for low-wage workers. The first meeting took place at the end of June 2018 and brought together representatives with in interest in the field, including the Learning and Work Institute, Trust for London, Business in the Community, Joseph Rowntree Foundation, Walcott Foundation and the Living Wage Foundation among others. Future meetings will take place three times a year. 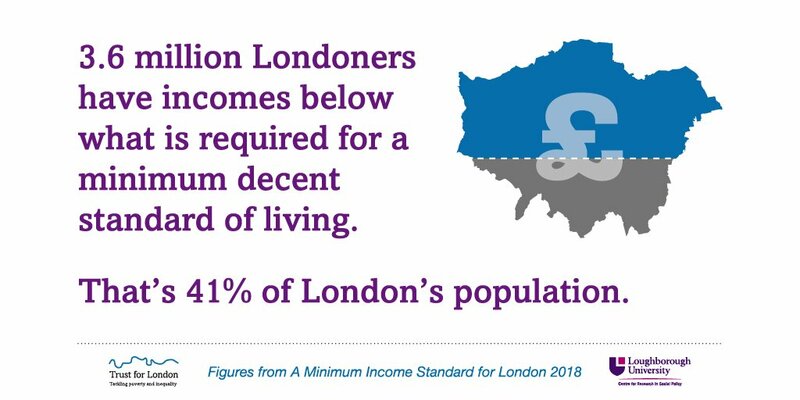 To find out more information about low pay in London, visit London’s Poverty Profile.